– Colors, the picture becomes more realistic. I registered in the shader (s) “Smaa” a resolution of 1920×1080. – Improved clarity, smoothing, colors, HDR (lowered the glow), bloom (reduces), granularity. The picture becomes without soap film. – By default, SMaa is anti-aliasing in the settings, you can put FXaa, if there are brakes or lags, I did not notice this. – For weak computers, you can try to disable anti-aliasing “Smaa” or change to “Fxaa”. – Settings are located in the folder “SweetFX SweetFX_Settings.txt, open a text file and in the item” Choose effects “put (0-off, or 1-on), the smoothing should be one, or SMaa or FXaa. – In the game (on, off) mode on the key F12. – Settings in the game: HDR-on; Sunbeams-inc; The rest is off, the screenshot shows! 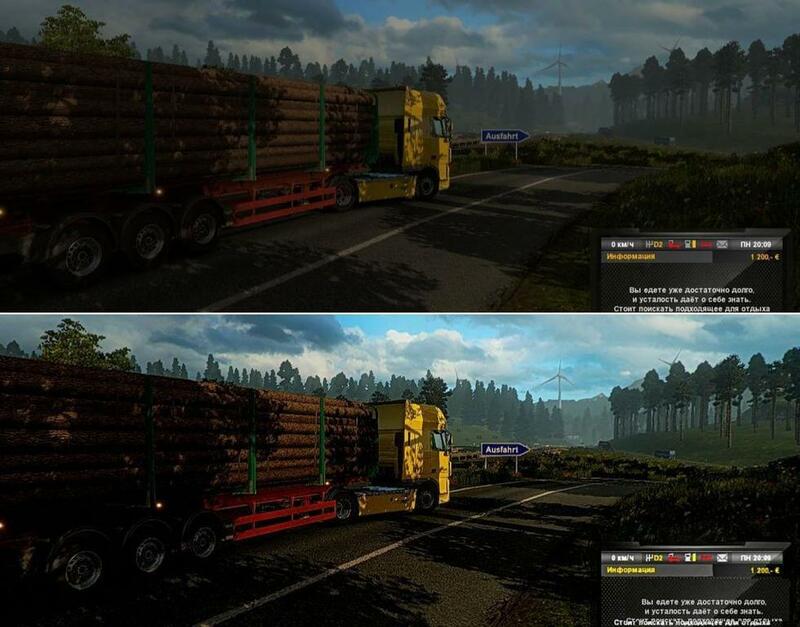 – All files from the archive are extracted to the folder with the game Ets2 bin win_x64. and it’s better to make a copy of win_x64 before installation.